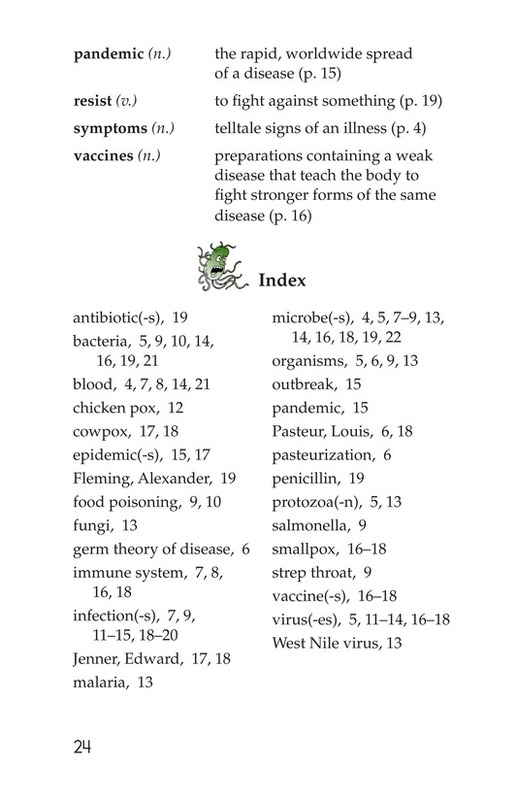 > Books > Leveled Books > Level U > Microbes: Friend or Foe? 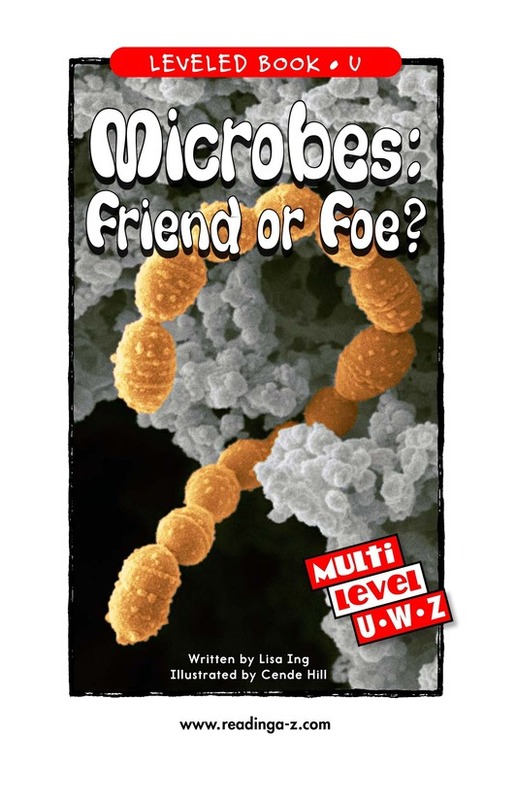 Les microbes : amis ou ennemis ? 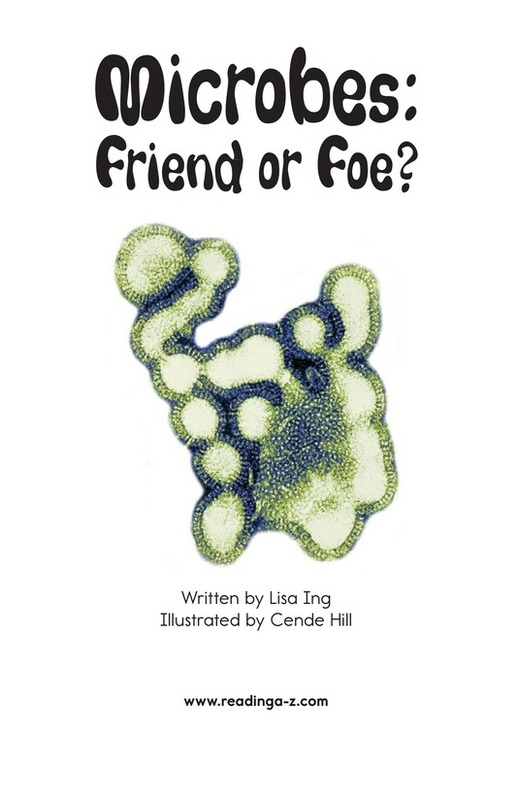 Microbes: Friend or Foe? 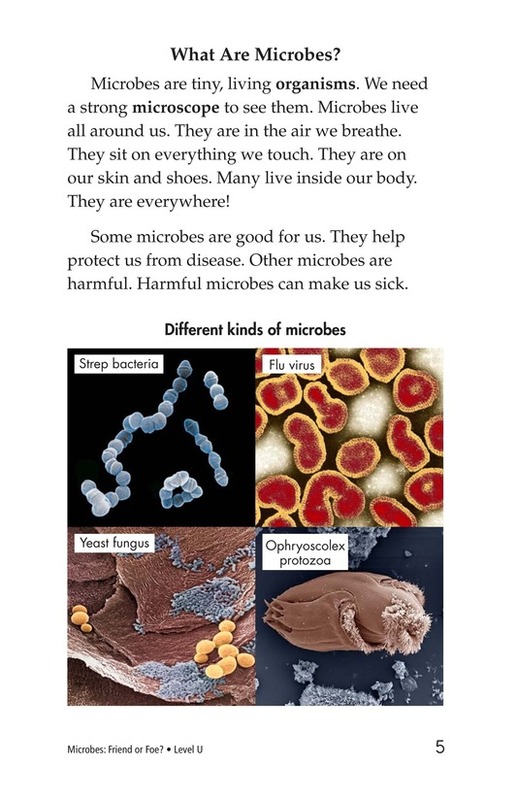 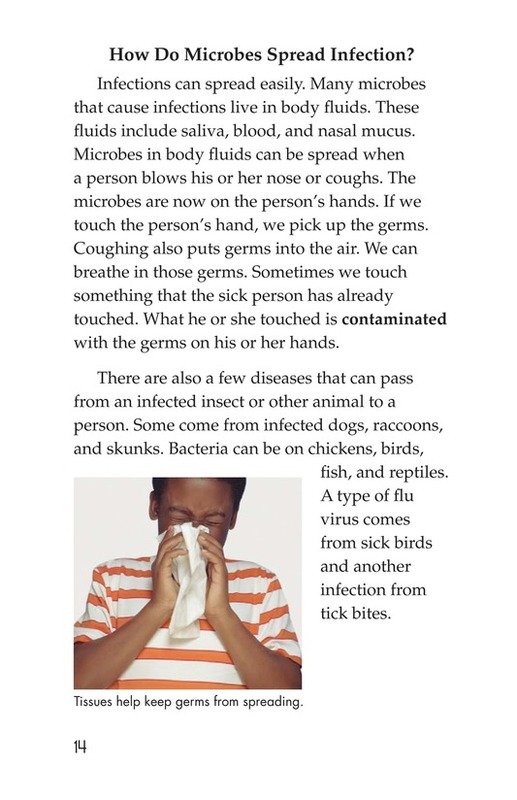 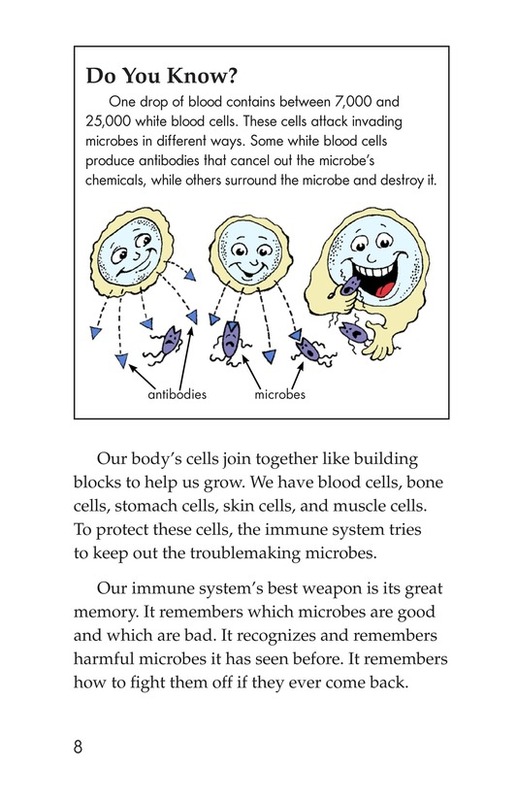 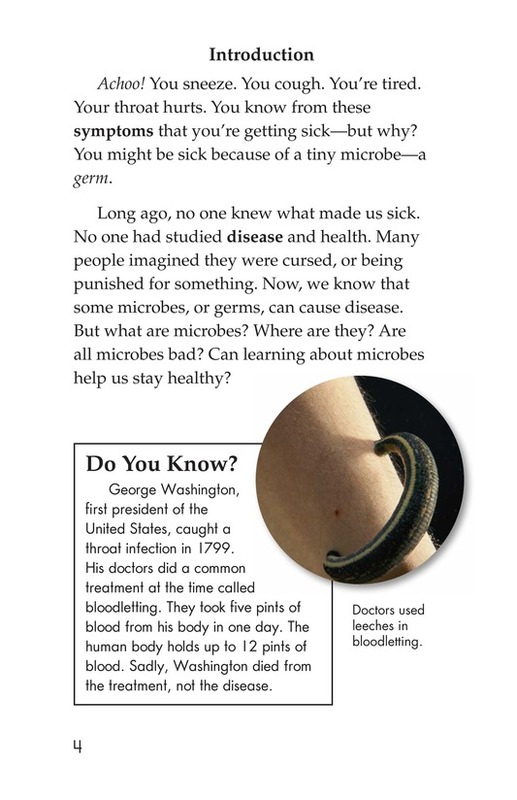 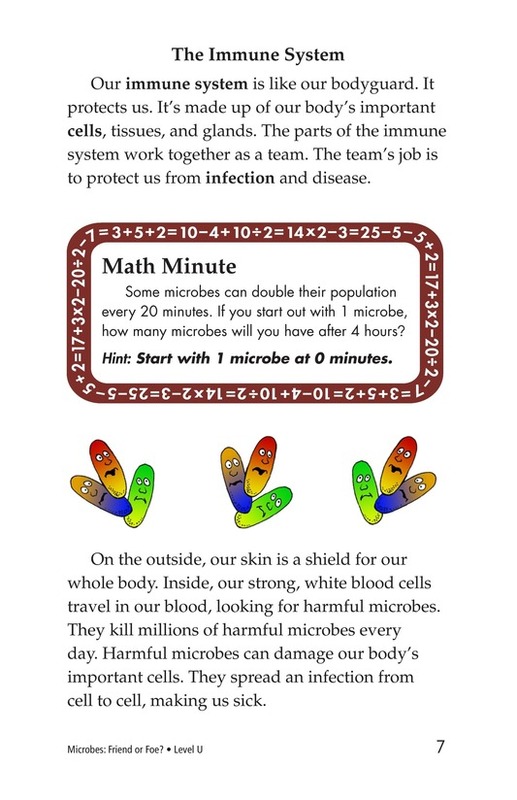 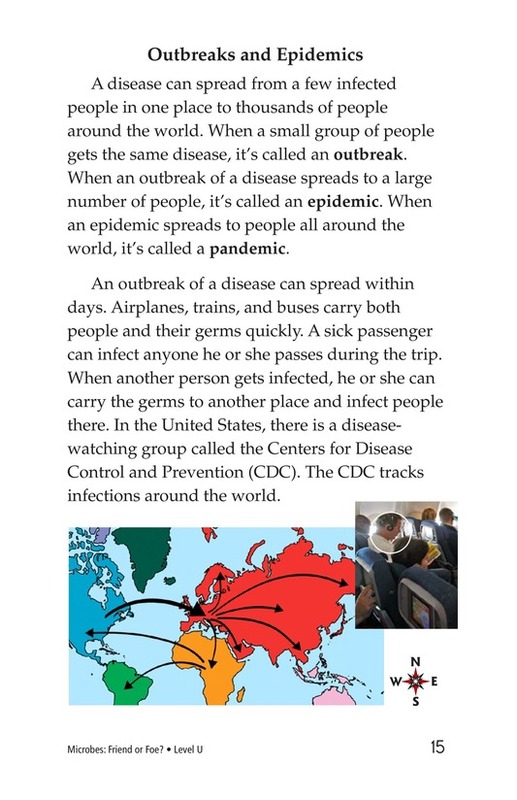 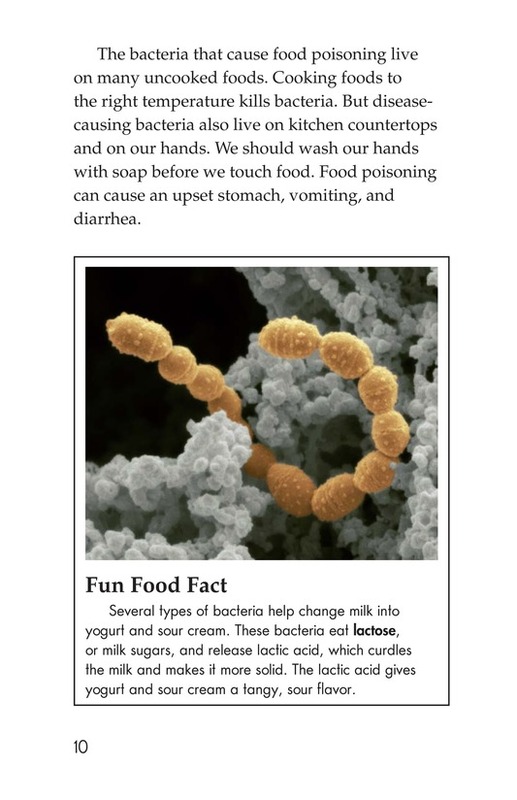 is an informational book that gives readers a close look at microbes--including bacteria, viruses, fungi, and protozoa. 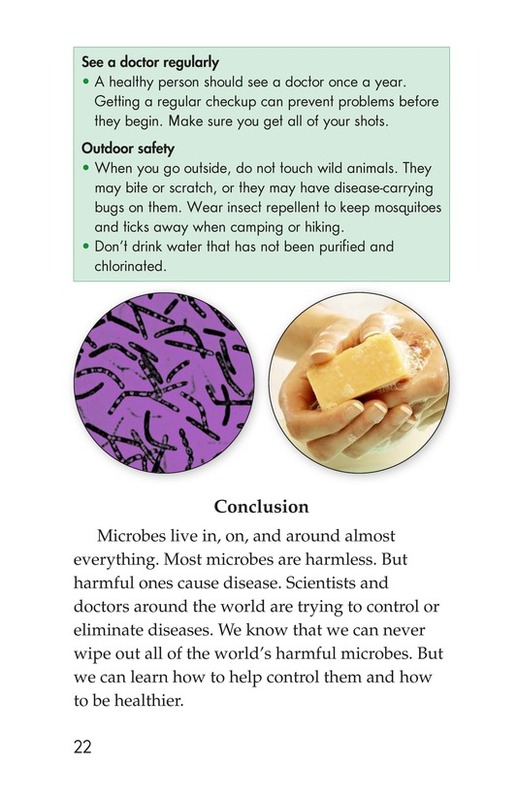 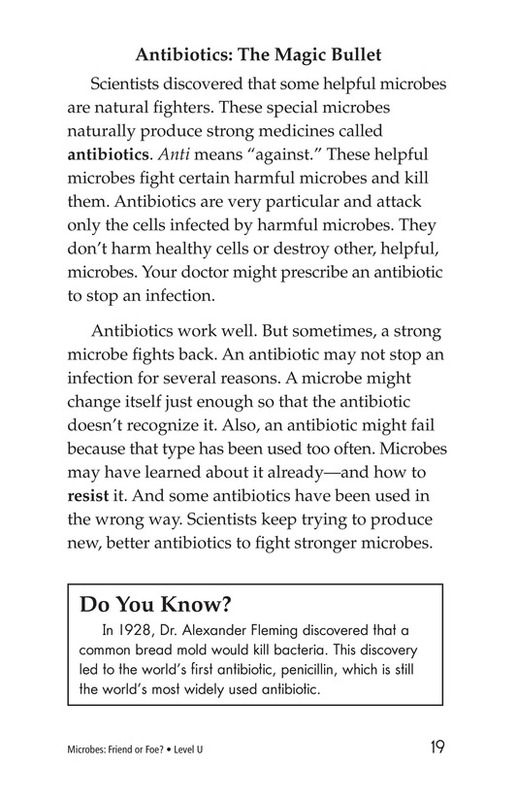 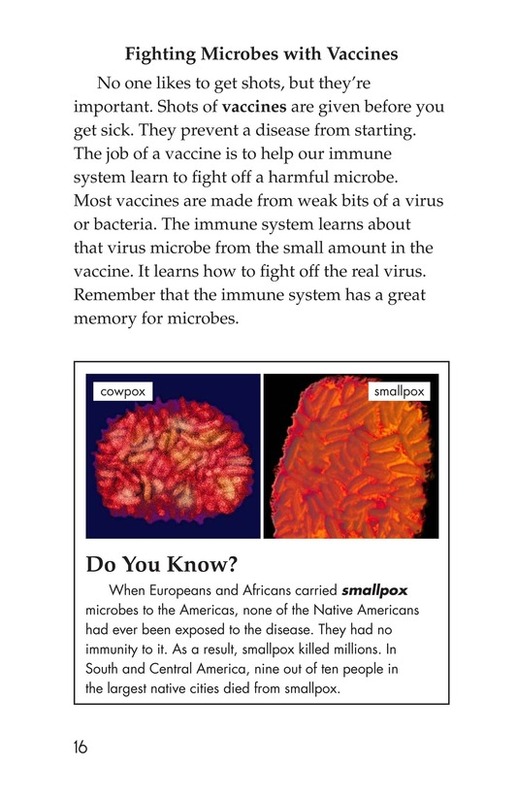 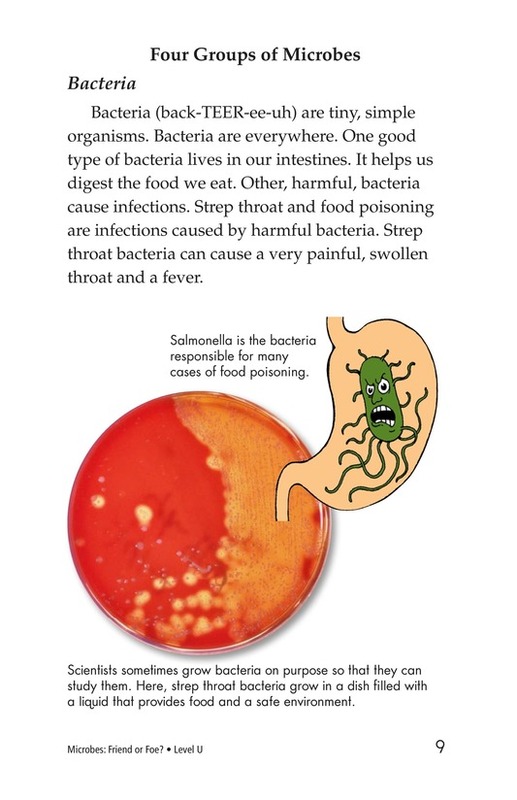 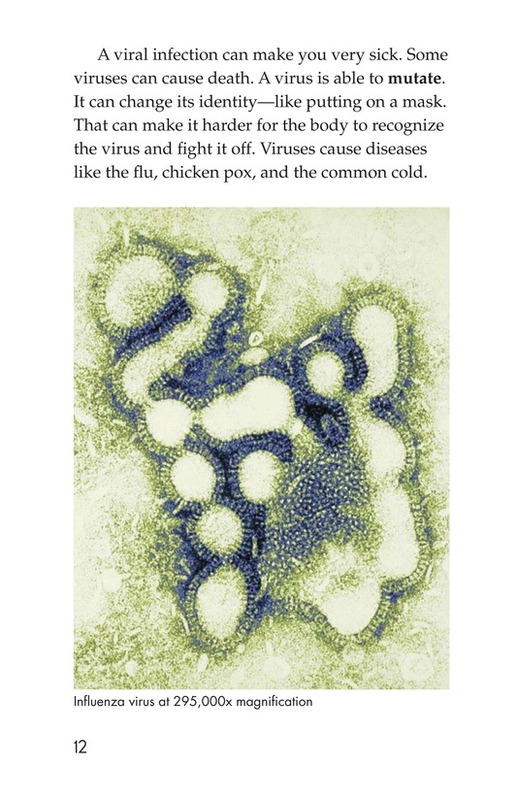 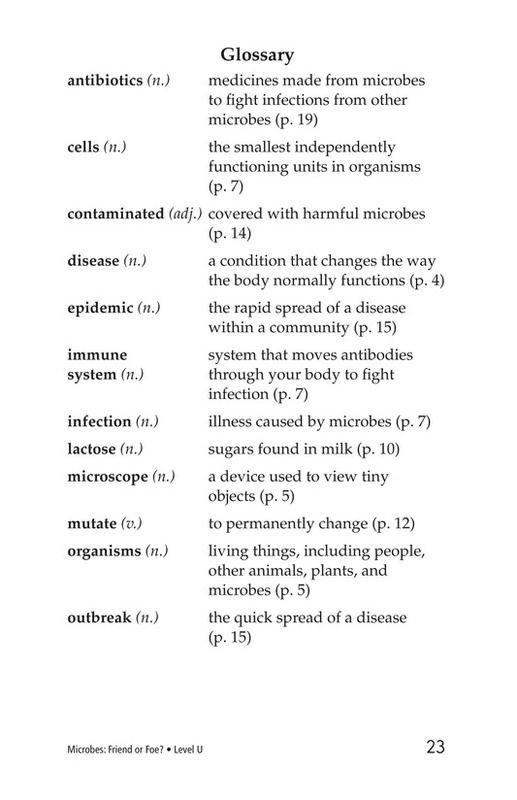 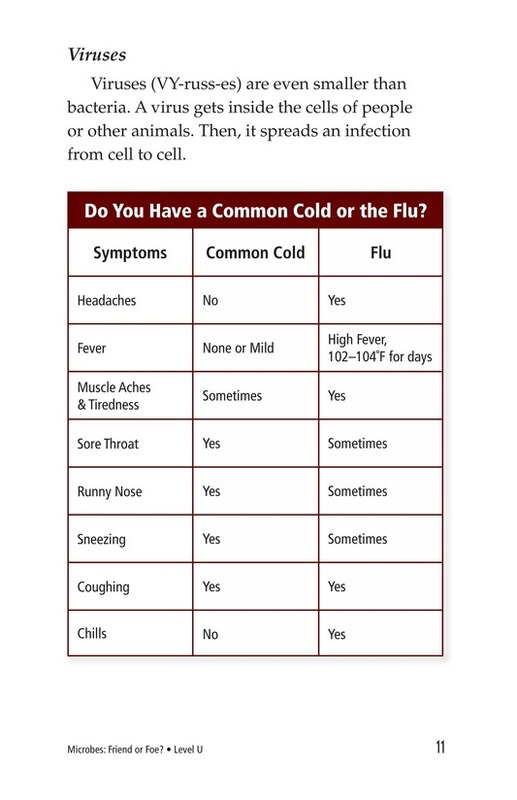 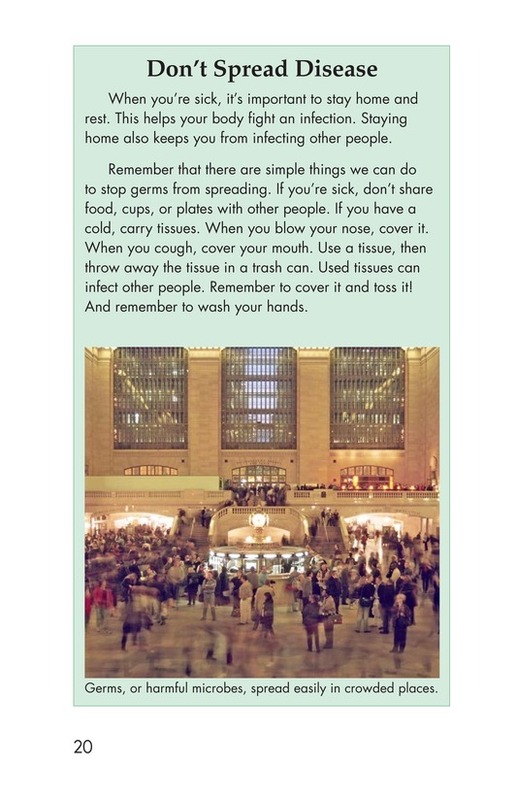 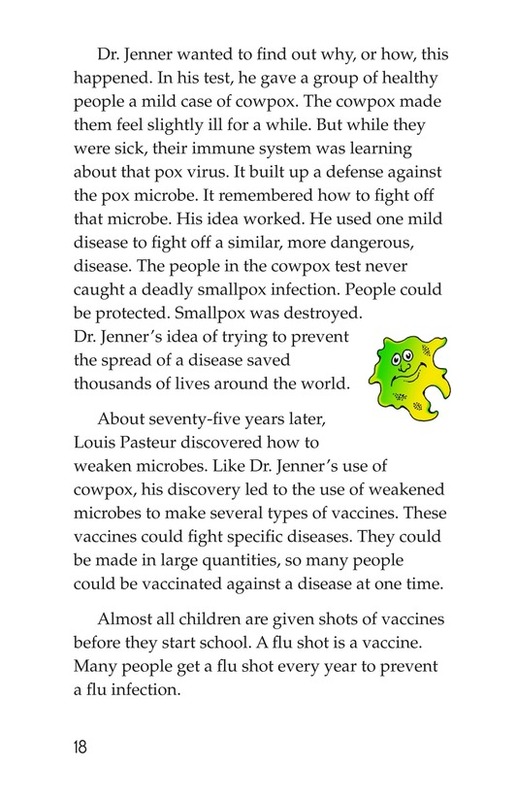 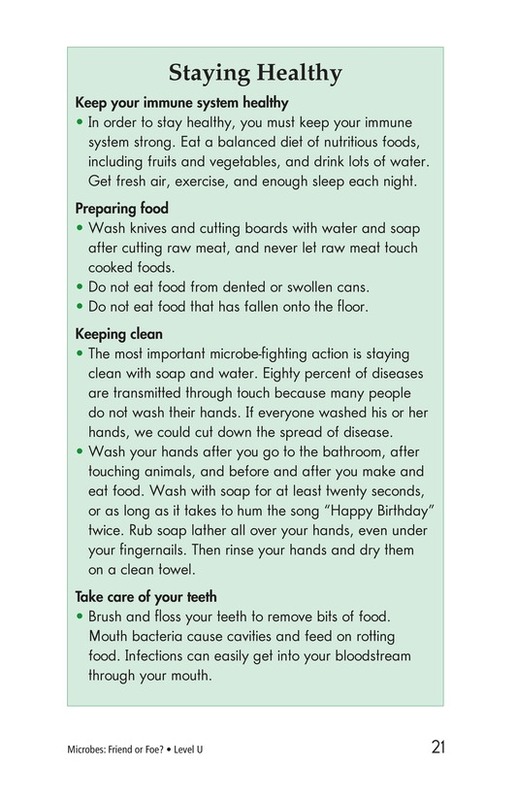 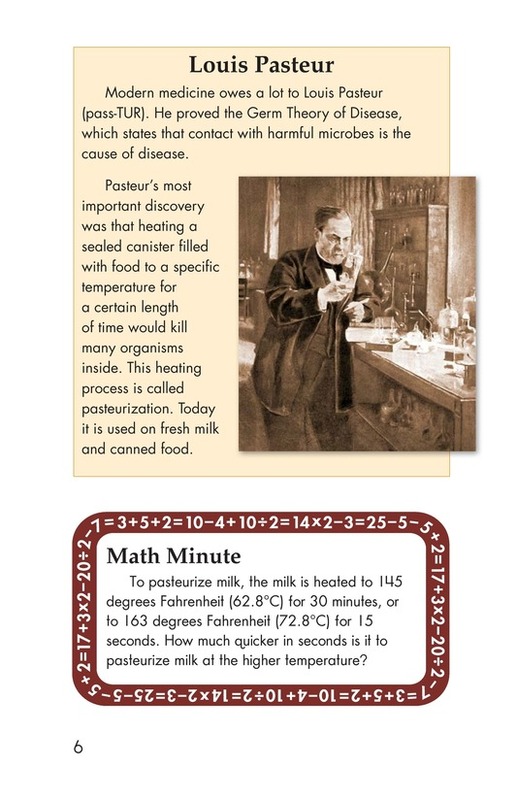 The book provides examples of how microbes are both helpful and harmful. 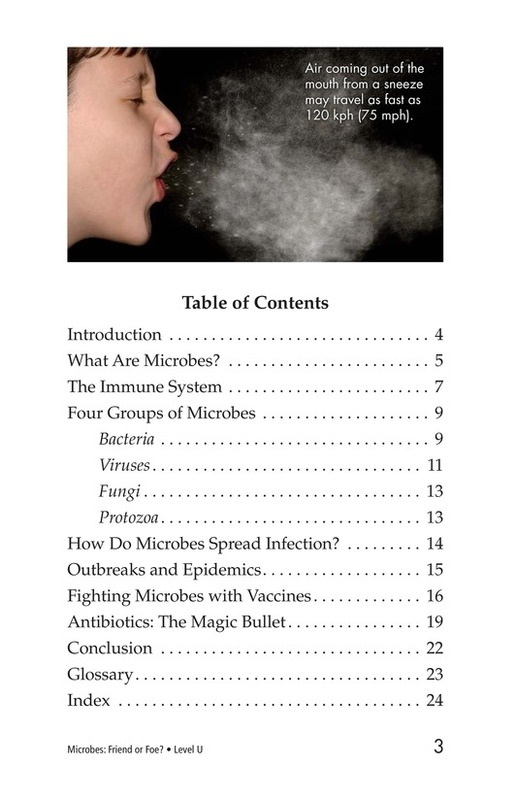 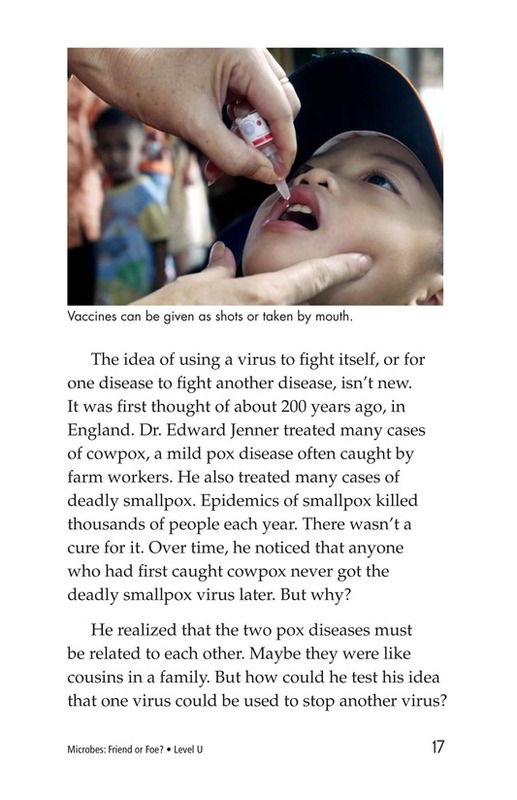 It explains how they are spread and how bad microbes are fought using vaccines and antibiotics. 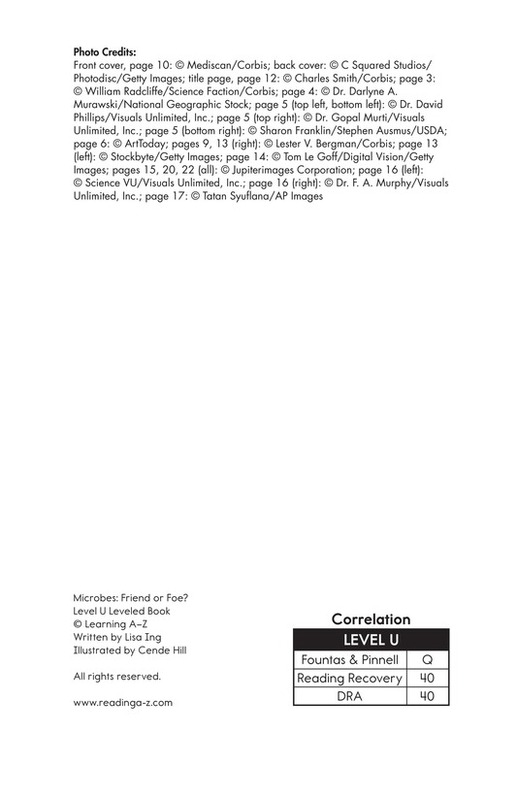 Photographs, a map, and a chart support the text.